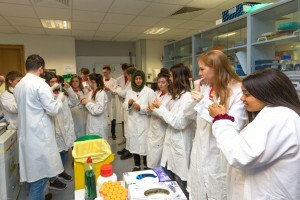 As part of the ongoing work of local development company, Midlands Science, to promote science education in the Midlands, a group oftransition year students from Loreto College, Mullingar recently visited The Royal College of Surgeons in Ireland (RCSI) and the Centre for Systems Medicine (CSM) Research Laboratory. 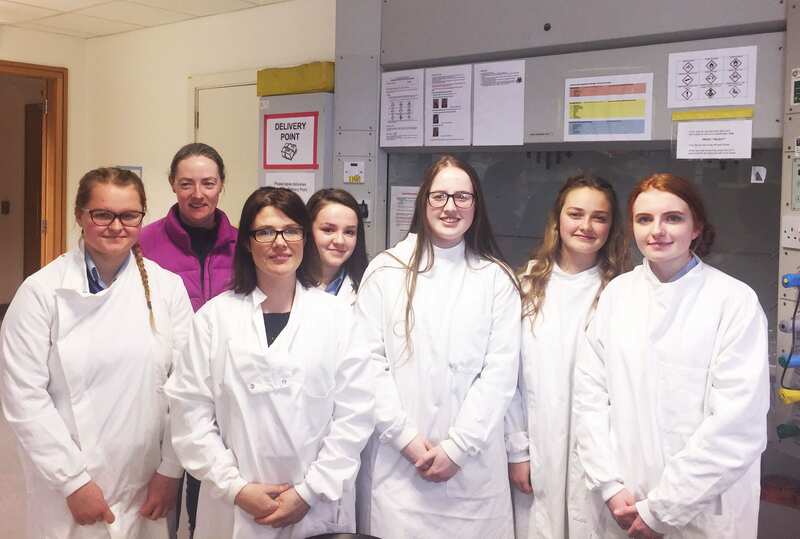 This event was co-ordinated by Dr Helena Bonner Scientific Liaison Officer CSM, RCSIand Ms Pauline Nally of Midlands Science. Students were welcomed by Head Porter, Mr Frank Donegan who gave them a historical tour of RCSI. Other highlights from the day included students observing brain cancer cells under the microscope and learning about different forms of cancer. 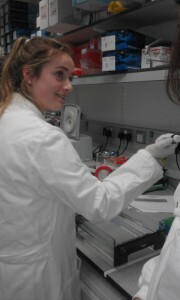 They also heard from our researchers about their projects including epilepsy and neurodegenerative diseases. Students also received a lecture on how research has changed in recent years with a special focus on communication and collaborative skills, being an important aspect of the job. Professor Jochen Prehn, Professor of Physiology and Medical Physics & Director for the Centre for Systems Medicine, RCSI said, “I am delighted to welcome the students to RCSI and the CSM laboratories. Hopefully they got a real experience for what life is like for scientific researchers and perhaps it will lead to them considering a career in scientific research”. Special thanks to the following researchers for volunteering to take part in this event: Dr Beatrice D’Orsi, Dr Catriona Dowling, Dr Teresa Moloney, Dr Isabela Aparicio and head porter Mr. Frank Donegan. 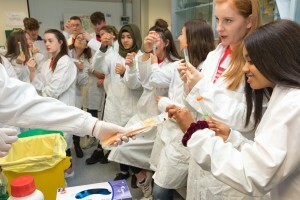 Tuesday 7th February 2017: 17 transition year students from schools across Dublin took part in a three day interactive RCSI (Royal College of Surgeons in Ireland) Mini-Science programme, which ran from the 6th – 8th February. 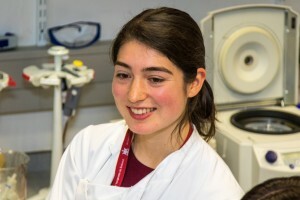 This programme was co-ordinated by Dr Helena Bonner in the Department of Physiology and Medical Physics at RCSI, in conjunction with the Centre for Systems Medicine, based at RCSI. Students gained hands-on experience extracting and separating DNA. 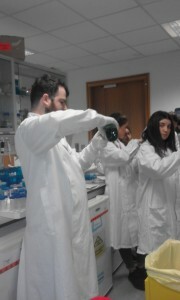 The participants also got an opportunity to observe brain cancer cells and learn about leukaemia. 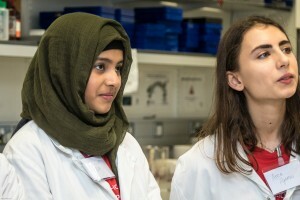 They also heard from our researchers about their current projects which are investigating a range of areas including epilepsy and neurodegenerative diseases. Professor Kevin McGuigan also spoke to the students about research and its impact on society. The programme ended with sessions on careers in STEM (science, technology, engineering and mathematics), its future prospects, and the use of Systems Biology and Biostatistics in translational research. Speaking on the programme, Professor Jochen Prehn, Professor of Physiology and Medical Physics & Director for the Centre for Systems Medicine, RCSI said, “I am delighted to welcome the students to RCSI for this programme. 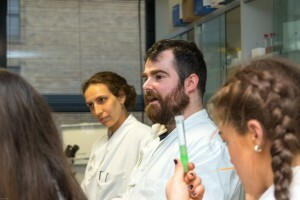 Over the three days, they will get a real experience for what life is really like for scientific researchers. I hope, from this programme, that the students will learn a lot and perhaps it will lead to them considering a career in scientific research”. 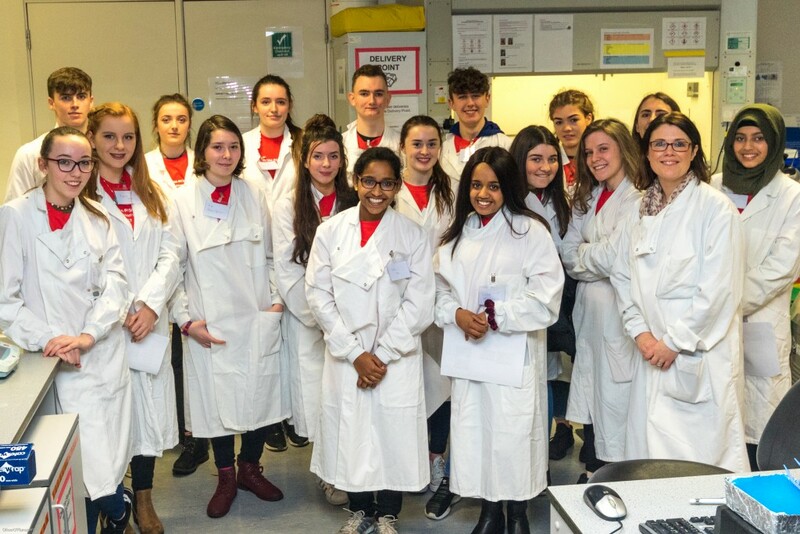 Pictured are the 17 transition year students from all over Dublin, who participated in the three-day interactive RCSI Mini-Science programme. Special thanks to the following researchers for volunteering to take part in this programme: Dr Ian Miller, Dr Franziska Walter, Dr Steven Carberry, Luise Halang, Aisling O’ Brien, Dr Christina Ruedell Reschke, Dr Brona Murphy, Professor Kevin McGuigan, Dr Beatrice D’Orsi, Dr Orla Watters, Dr Amanda Tivnan, Dr Catriona Dowling, Dr Teresa Moloney, Dr Gary Brennan, Dr Niamh Connolly, and Dr Isabela Aparicio and RCSI Head Porter, Frank Donegan.